The property that houses the now dead Westland Mall originally housed farm land. In the 1950s and 1960s more suburban communities were built in the area around the site that would house Westland Mall. Improvements to West Broad Street turned the road into a divided four-lane road and made it a bigger draw for businesses. 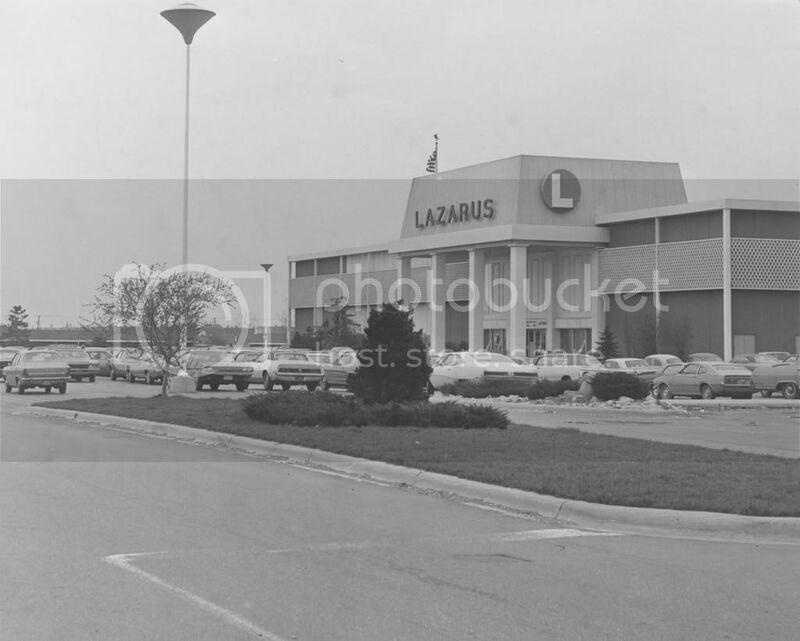 Lazarus realized in the early 1960s that they needed to compete with other department stores by building new stores in suburban locations despite the effect this move would have on their main downtown Columbus store. In 1962 Lazarus opened a store on West Broad Street near the then planned route of interstate 270; this was their first suburban store to open. An open-air shopping complex was planned to be built adjacent to the Lazarus store, however, construction on the shopping center would not start for years. The Visconi Mead-Jacobs Company started construction on Westland in 1967. The open-air center would feature a number of inline stores, Woolworth's as a junior anchor, Sears and JCPenney department stores in addition to the Lazarus store that had been operating since 1962. Covered walkways would also be erected between all of the anchor stores to allow more convenient shopping during uncomfortable weather conditions. On February 12th, 1969 the open-air shopping complex was opened to the public. At that time construction on interstate 270 was well underway as well. August 1970 brought the opening of the interstate 270 corridor, as a result the area became much more of a shopping destination. An Ontario's supermarket opened across from mall, a Gold Circle was built on the site of a former drive-in theater further east on West Broad Street, and a Kmart was also built on West Broad Street. Despite the influx of stores in the area the 1970s brought no major changes to the Westland Mall itself. 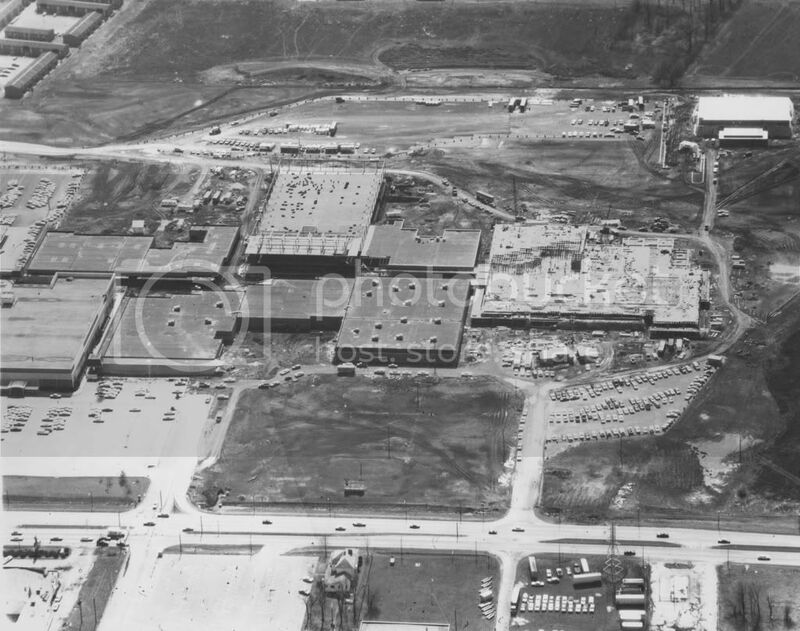 A 1968 picture of the Westland Mall construction site from the photohio.org collection. This picture shows the already operating Lazarus store on the left, the smaller stores under construction, plus the anchor stores (JCPenney, Woolworth, and Sears) being built. An image dated June 23rd, 1970 from the Ohio Department of Transportation. This image shows the then new Westland Mall operating alongside the nearly complete stretch of interstate 270. 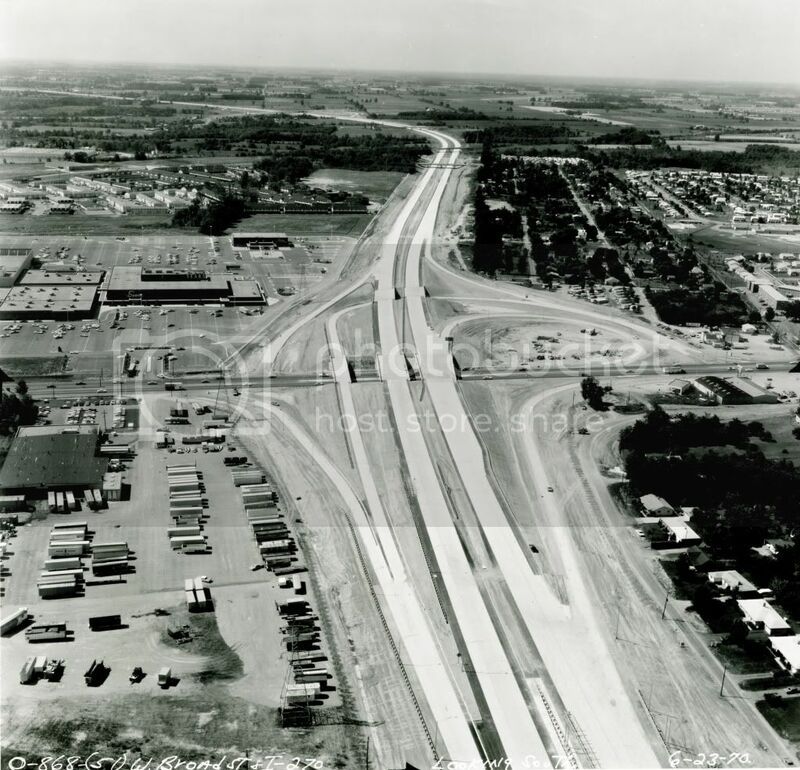 This stretch of highway opened in August of 1970 which allowed more people to have easier access to the Westland Mall. A 1972 photo from the photohio.org collection. This image shows the original facade of the Lazarus store which was greatly altered in the store's later years as Lazarus (early 1980s). The Westland Mall was still an open-air shopping mall as of 1980; a concept that was then "outdated" and going extinct. In order to modernized itself the mall decided to undergo a major renovation. The modernization project of the 1981 and 1982 brought enclosed walkways between stores plus an expansion and facade overhaul of the then 20 year old Lazarus store. By the late 1980s Sears closed its second story to the general public and operated offices for Discover card there (these would later close when Sears sold the Discover card in the 1990s). Westland Mall continued to experience high occupancy well into the 1990s. Westland remained strong until The Mall at Tuttle Crossing opened ten miles away in 1997. Tuttle Crossing had Marshall Field's, Lazarus, Sears, and JCPenney as anchors. Instead of operating stores at both malls JCPenney shut their store at Westland down in 1997; Woolworth also was shuttered as a result of the chain's liquidation that year. At the turn of the 21st century Westland Mall had only two anchors: Sears and Lazarus (both or which had stores at The Mall at Tuttle Crossing. The mall did then manage to pull a Staples store into the former Woolworth store, but that store closed itself off from the mall. The interior of Westland was becoming more and more isolated in the early 2000s and in 2004 Chi-Chi's closed it's restaurant as a result of the company's closure. The Lazarus store was re-branded as Macy's in 2005 only to close in 2007. Several years after Macy's closure Sears decided to shut down its mall entrance. In 2010 it became clear that the Westland Mall had plans to be redeveloped into a lifestyle center. The redevelopment would have been anchored by Menard's, Sears, and Staples, but Menard's backed out of the plans and the redevelopment of Westland was cancelled. The interior of the mall was closed in November 2012 after being nearly empty for years. There currently are plans to redevelop the mall into a lifestyle center called "Weston Town Centre" if the owners make a deal with a new potential anchor store. The redevelopment is planned to mimic Easton Town Center in a way, but it is not planned to feature high-end retailers. Currently only Sears and Staples remain at Westland Mall. Sears is the only department store left in the area.